Contains 25 membrane cartridges in one easy-to-store box. This convenient bulk pack is the most popular among large volume users. 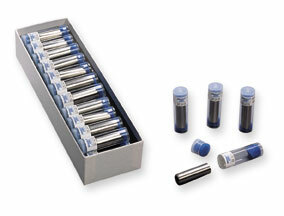 It contains 25 membrane cartridges suitable for 12mm DO Sensors in one easy-to-store box. Internal o-rings, gaskets and electrolyte must be ordered separately.